Take the first step into diving with one of our Intro courses. Ready to blow bubbles? The Bubblemaker class is the BEST way to introduce children to scuba diving in a pool in less than six feet of water! Ocean-lovers 8 and older can join in the family fun of scuba. Not sure if you are ready to get certified? Want to try it out before you commit to the full class? No problem. Join us for a Discover Scuba course where you will gear up, get into the pool, and take your first breaths underwater while exploring a few of the skills you will learn in the open water certification. If you decide to get certified, the cost of your Discover Scuba course will be put towards your open water course. Not quite comfortable with your snorkeling skills? Are you heading out on a trip and worried you’ll miss all of the action beneath the waves? 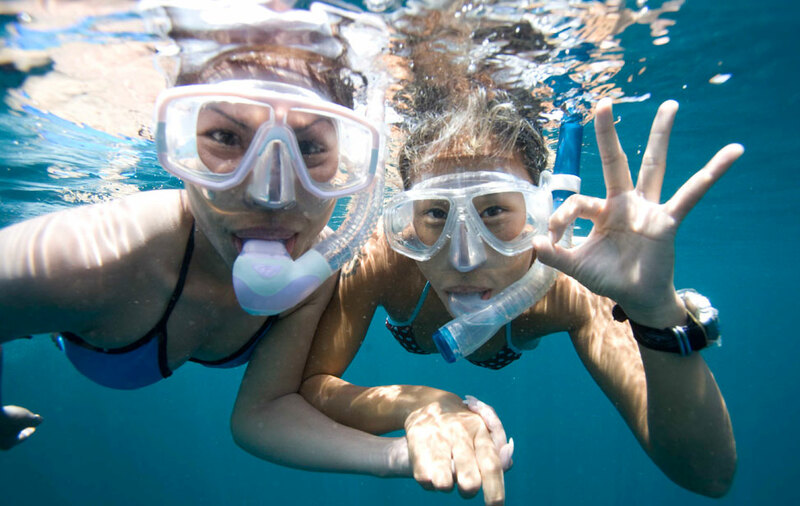 Skin Diving and Snorkeling are great ways to explore the underwater world when you’re not able to scuba dive or if scuba diving just isn’t your thing. The PADI Skin Diver course teaches you how to enjoy watching life below the surface and comfortably venture underwater for short visits, whether you dive in a local freshwater lake or the big blue ocean, at home or on holiday at a dive destination.